There is an optimistic feeling among PhytoGen representatives as they eye the 2019 planting season. 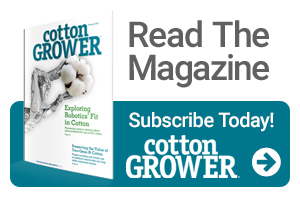 The first Enlist varieties began to pop up among the most popular in the nation in the USDA 2018 Cotton Varieties Planted report. Riding a wave of demand for the 2,4-D tolerant trait technology, the brand, they feel, is off to the races. Faircloth notes that the full supply of varieties he speaks of will all carry the Enlist and Widestrike3 technologies – a trait package that is becoming popular across the Belt. 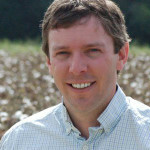 Faircloth and others with the company are proud of highly successful introductions like PHY 330 W3FE, an Enlist variety that ranked as the eighth most popular upland variety in the nation in 2018. Others like PHY 300 W3FE weren’t far behind. The breeding program at PhytoGen requires exceptional yields and fiber quality for a variety to make it to commercialization. So those characteristics are a given when Faircloth begins discussing a variety. When talking of new Enlist varieties, he speaks more frequently about bacterial blight resistance, Verticillium wilt tolerance and root knot nematode resistance. Looking forward to 2019, Faircloth says the company is excited about the potential of two new 300-series introductions – PHY 320 W3FE and PHY 350 W3FE. PhytoGen is also bringing full quantities of three 400-series varieties (mid-maturity offerings) in 2019 – PHY 430 W3FE, PHY 440 W3FE and PHY 480 W3FE. All offer bacterial blight resistance, while PHY 440 W3FE and PHY 480 W3FE also feature root knot nematode resistance. “PHY 440 W3FE displays exceptional fiber quality like PHY 444 WRF,” Faircloth says. “Our primary focus for that variety is in regions where there are challenges to fiber quality like South Texas and South Georgia. Those areas are going to be our primary market for PHY 440 W3FE.